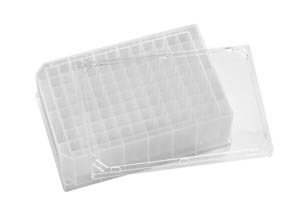 range of specially packaged plates designed to enable high yield growth of bacteria, yeast, mammalian or insect cell lines. Precisely manufactured to conform to the automation-friendly ANSI/SBS format, BactiGrowth plates are available in plate formats from 24- through to 384-well and well volumes from 300 µl to 10 ml per well to suit most cellular growth applications. Produced under class 10,000 clean room conditions from ultra-pure grade polypropylene, every batch of BactiGrowth plates is rigorously tested to validate their contamination-free status ensuring reproducibility and maintaining customer confidence in the cells you grow. in packs of 5 plates with tight fitting lids sealed in a sterile polymer bag. For further information on BactiGrowth plates please visit https://www.porvair-sciences.com/bacti-growth-plates/ or contact Porvair Sciences Ltd on +44-1978-666222 / +1-800-552-3696 / int.sales@porvair-sciences.com. Established in 1992, Porvair Sciences is one of the largest global manufacturers of ultra-clean microplates for life science, synthetic chemistry and many other applications. Porvair Sciences Ltd. is a wholly owned subsidiaries of Porvair plc.